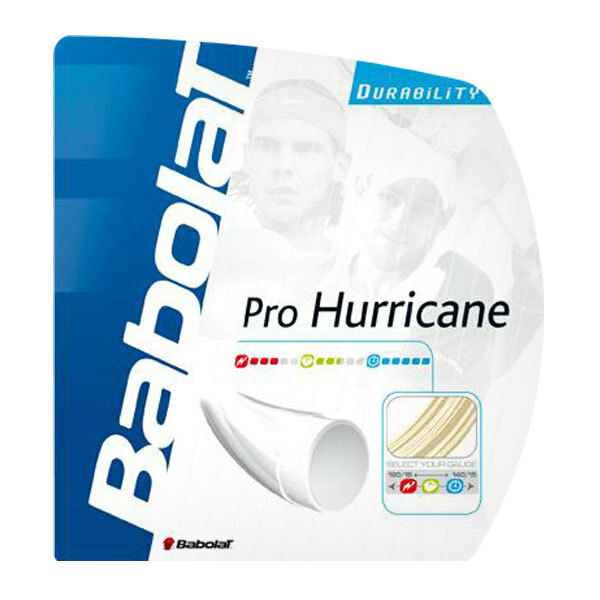 Popularized in the early 2000’s by Andy Roddick and Babolat’s top pros, Pro Hurricane 17g is one of their earliest entries in the co-polyester family. Xtreme Futur Polymer was added during the manufacturing process to soften the response. Pro Hurricane is a throw-back of sorts and doesn’t play as stiff as RPM Blast, or RPM Blast Rough. The round co-polyester offers a good amount of pop and stronger durability than synthetic gut or multi-filament strings. 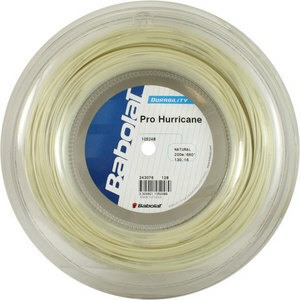 I really like the Pro Hurricane 17g strings. They give me the control I need while still allowing me to play with power. The Strings have a great feel as I strike the ball. I would recommend these strings especially to new players looking for control. I have used other strings, but these provide great performance! 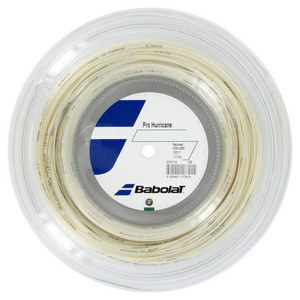 For a 3.5 tennis player who plays 1 -2 per week, these strings provide me with the performance I need for my game. At TennisExpress I get my money's worth for name brand products and delivery is quick. I usually shop around and always come back to Tennis Express for all my tennis shopping. I am a grandma who raised two grandsons that play tennis. One is now in medical school and has always shopped for his tennis products at Tennis Express. The other grandson is 10 and started to play tennis at 4. I still shop for his tennis items at Tennis Express. Thank you for being around. It promotes enough power and reflection while also producing quite an amount of shock to my wrist. I just chose this string because Tennis Express offers this one for free when I purchase a racket. If you want to have premium feeling and more comfortable grip when you hit the ball, put some more money into the string option or get a shock absorb patch. The strings came with my daughters new racket at no charge. Her coach is very happy with the quaility and my daughters game has changed in a postive way since she changed over to the Babolat racket. I have been using this string for a while now and I like it. Before I tried different strings and I think this 17 is the best one. My husband has loved his new racquet with Pro Hurricane 17 strings! First Babolat racquet, very very pleased! I was very satisfied with these strings. I have these on my new pure drive and the pop and control is like none other. Great strings for baseliners who like to hit deep to the court. 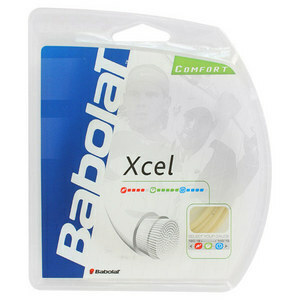 I have been playing for a long time with Babolat strings. I like the feeling of power and touch that Pro Hurricane give me that I have not changed for any other newer strings. For my style of playing, this strings is too stiff. It found my arm hurting after a long match. Installed in a Yonex RDiS 200 with 53lbs on mains and 50lbs on crosses. It could be good for someone who is looking for control and has a very long and fast swing. I have several tennis players that I keep Pro Hurricane in stock for. It is a very consistent poly string that strings well with little coil memory or trouble kinking. Pro Hurricane has very good durability, tension maintenance, great access to spin, and provides the expected control from a polyester string. If you need a good stand by string that has stood the test of time well, you cant go wrong with Pro Hurricane in a full bed or as a hybrid with a syn gut for more feel. I have been playing with this string for two years and I wouldnt play with anything else. It is durable, has great feel and the spin is terrific. I really like the sound this string makes when I hit the ball. This string provides good amount of power and spin. It has crisp feel and is comfortable for a poly. However, after 2 hours of practice, the tension dropped dramatically and I couldnt control the ball very well. I believe this is a really good string.